We often get questions from the public about Mark’s case, so we thought we’d put them to him directly for a response. Mark has never refused to answer a question from us, so if there’s anything we haven’t covered already, let us know! We’ll keep this FAQ updated as new material arrives. Last updated: 14 February 2019. Can the experts rule Mark out? What do we know about Mark’s movements? How did the burial go unnoticed? Was there any sign of a fire? Why did Mark think his dad was in London? Were any of Sami’s belongings missing? Why didn’t Mark accept manslaughter? Did Sami leave a financial trail? Did Sami’s utility usage change? Have we analysed Sami’s harddrives? Why did Mark send Christmas cards? Did Mark try to call his father? Why didn’t Mark report his dad missing? Was Sami healthy enough to go out? Who were the household assistants? When the samples were analysed by a Chartered Engineer and Geologist we discovered that the bottom three layers in which the body had been hidden were in fact made of mortar rather than concrete, and comprised of “sea-dredged sand bound by Portland cement and pulverised-fuel ash” in “mix proportions of about 1:3 by volume”. I had no hand in these. 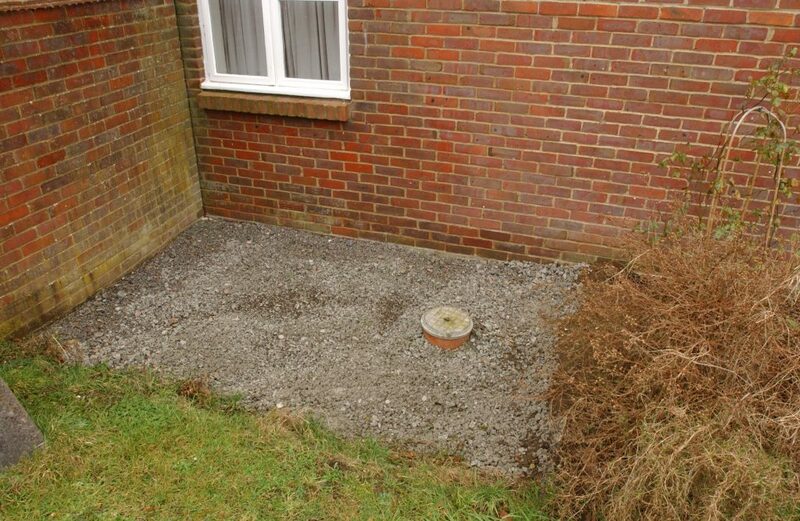 By contrast, by the time I became involved I was using concrete not mortar, because the whole purpose of the site was to shore the garage foundations and shield them from tree roots. This fourth and final layer was comprised of “crushed micro-granite coarse aggregate”. When I arrived there was nothing unusual looking about the site at all, so I didn’t think to question it. It had a completely smooth base and I just assumed it was some kind of specialist foundation for the shoring. It makes me feel sick knowing I was only feet away from the horrors lurking beneath. It’s a horrible and cruel realisation, but of course there was always building work going on around the house back then, so I was used to finding new things popping up here and there. 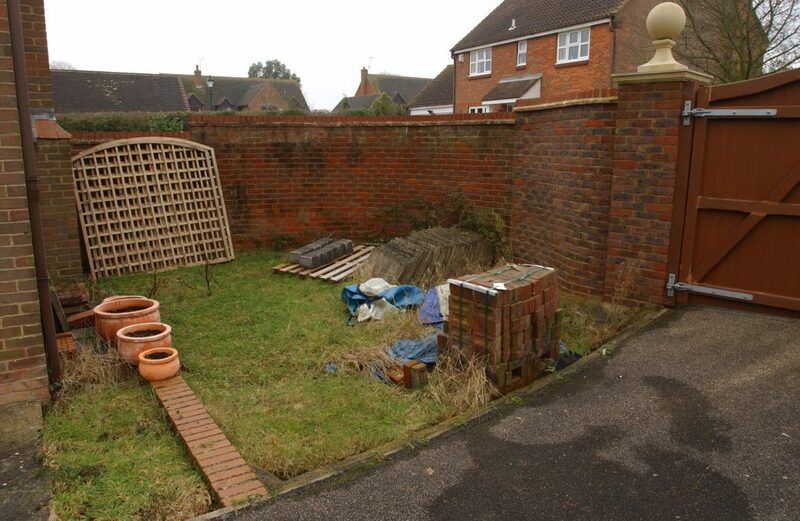 As one neighbour commented, “I would notice different jobs had been completed on the house, but I would never see anybody doing them… I would see bricks outside his house and not think anything of it” (AW). It was almost inevitable that I’d be involved in some small way at some stage or other because we tried to save money by doing what we could ourselves. Why would I suspect anything as macabre as this? It just doesn’t even cross your mind. I didn’t believe it when the police told me, and I can still hardly believe it now. It’s really telling that the layers in which they buried dad weren’t made of concrete. This simple difference in the materials demonstrates that the work must have been carried out by two different people, because the same person wouldn’t use different types of cement mix on the same job. There are other clues to this as well: a) I ordered a truckload of concrete for 2 o’clock in the afternoon, in my own name. The truck was blocking the road, and I stood there waving cars by. The haulier was with me the whole time. But the people who laid the mortar before me did so discreetly: nobody saw them working, so they must have gone out of their way not to attract attention to themselves. b) I’m not a builder. I knew next to nothing about this kind of work, and I’m not physically built for the job. In the haulier’s words: “I remember thinking he was out of his depth. He looked as though he had never used a wheelbarrow before. He clearly didn’t have a clue what he was doing”. So when the experts compared the concrete to the mortar, they described my efforts as “less well compacted and more voided at the upper and edge surfaces, which suggests a non-specialist installation, and the absence of shuttering”: amateur in other words. But the mortar, by comparison, was “consistently well-mixed”, with clear evidence of techniques like ‘levelling’, ‘shuttering’, and ‘compacting’ having been used. “The mix quality, consistency (both thoroughness of mixing and degree of compaction) of the various mortar layers suggests preparation by an experienced person”. So not only were the materials different, but the expertise and methods used were completely unalike. The other thing to point out is that the entire house was basically a building site. There were materials strewn all over the place on pallets and in canvas bags, with dozens of separate worksites (see gallery photos). The site where my father was found was the last of 3 separate root-barriers and areas of shoring where there had previously been rows of trees. The two root-barrier sites on the left corner of the house were installed after a row of leylandii conifers were felled (i.e. foundationandconcrete.net). Notice the two gravelled areas. 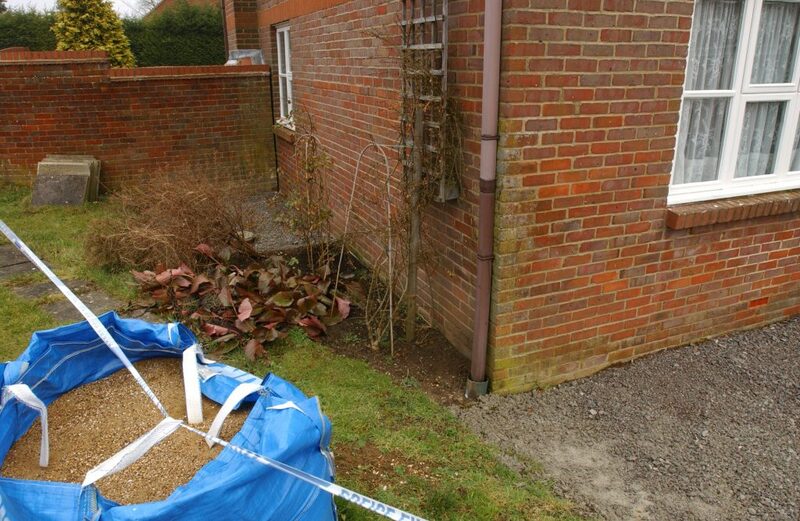 These are the areas of underpinning pre-dating the area by the garage in which Samuel’s body was buried. The dimensions are near identical. In shot is a bag of sand for ongoing building works at the house. The third site, by the garage, was motivated by the same concerns – but required an application for consent to carry out works to a row of lime trees protected by a tree preservation order. We only found evidence for this after my trial. He cited evidence showing that lime tree roots can cause damage up to 20m away from the trunk, with 50% of recorded cases occurring within 6m of the tree. Our lime trees were just 2.2m away from the garage and 6.6m from the house. He drew their attention to the fact that the minimum recommended distance that lime trees should be from buildings is 8m. An independent surveyor was commissioned. He didn’t agree with my father, commenting that: “The applicant’s apprehensions about the foundations are not justified… The upheaval mentioned could be lifting of the edging around the car parking area”. Argumentation ensued, and in the end a compromise was reached. Permission was granted by the Council to fell one of the three trees my father had originally wanted to remove. Clearly he wasn’t satisfied with this, because he had two chopped down anyway, and then proceeded with the root-barrier / underpinning. So on all accounts this was just a regular building site that the people who killed my father perverted for their own ends, and which I fatefully bumbled into, openly and thoughtlessly because I had nothing to hide. Comment: If Mark was involved from the beginning, why would he change materials? Why not just stop at the third layer? Why would he change his modus operandi, making the bizarre switch from clandestine to public? If he had been mixing and laying mortar to a professional level previously then he would have had plenty of practice with a wheelbarrow and would have appeared proficient to the lorry driver. The fact that Mark did put that top layer down however, strongly suggests that he didn’t lay the ones underneath, because had he done so there would really be no need to add yet another layer. He could have relied on the fact that he hadn’t aroused any attention and stopped there. Again, logically, had he wanted to add a fourth layer, he could have done so in the same clandestine way as the previous three without attracting any attention. The expert in question wasn’t claiming to identify who actually laid the mortar. He simply drew attention to stark differences in the methodology and workmanship of the mortar as compared to the concrete. We interpret this evidence to say that the same person couldn’t have been responsible for both. I imagine that someone with lots of experience in pouring concrete like yourself might be able to ‘fake it’ as you say, but I think you’ve rather disproved your own argument here: in order to fake something, you need to know how to fake it in the first place. I’m not an expert, I’m not even a DIY enthusiast. The haulier knew I was out of my depth: “He looked as though he had never used a wheelbarrow before. He clearly didn’t have a clue what he was doing”. I’m a pencil pusher, not a brickie. “Once the pit had been excavated, it seems that 3 layers of mortar were placed, to encapsulate the bagged remains and, as distinct bedding planes formed, each layer was allowed to harden before placing of the next layer. My original examinations showed that the mortars were well mixed, suggesting either (noisy) mechanical mixing and/or use of a ready-mixed mortar product. If I assume that a ready-mixed product probably included a rapid-hardening admixture or additive, there might just have been a few hours between placing each layer… Of course, in the absence of any deliberate rapid-hardening, each of the first two mortar layers would probably have required a day of setting and hardening before placement of the overlying layer, for the clear bedding planes to be formed”. So we have there a time-frame of at least 2 hours, and at most 4 hours, for the drying of each of these layers. “No tool marks or prints were seen in the base of the grave, and there was no evidence of wash from the sides, or biological material such as leaves having been present prior to the pouring of the [mortar]… The grave was probably not open for a long time before the first layer of [mortar] was poured, as there was little evidence of weathering of the sides of the grave, or of any wind-blown detritus (such as leaves) in its base”. We can assume from this that the mortar was laid shortly before my return in mid-November, and therefore during the month-long period when it is accepted that I was away from the area. A photo taken from the Scenes of Crime Officer excavation. Notice the remnant tree root. This site was designed to underpin the garage and block roots from trees. 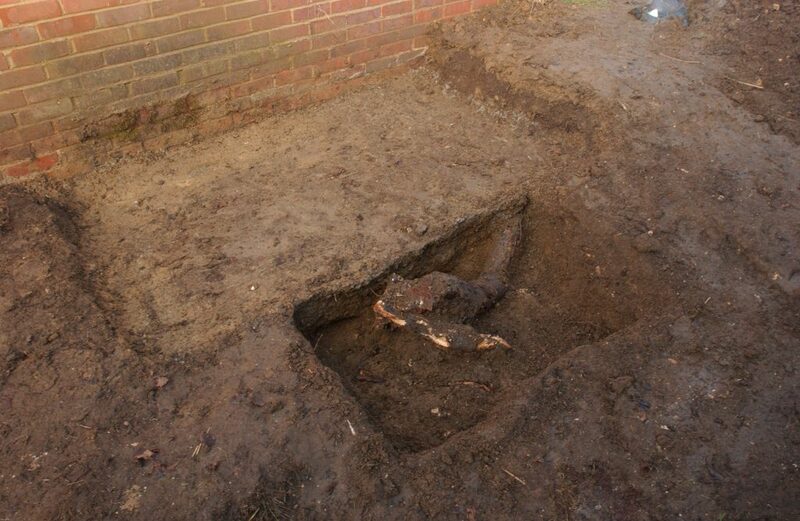 The trees were cut down following an application for planning permission by Samuel, citing evidence from a surveyor that the roots were undermining the structural integrity of the garage. This perhaps points toward a disconnect between the excavation and the burial. In any event, the excavation was followed by the mixing and laying of 1.09 cubic metres of mortar in 3 separate strata. The professionalism of the whole diabolical process would have required a high level of experience and expertise, far beyond my own understanding. And as we know, it was all done without being seen or heard. Not only does this contrast starkly to the very public arrival of a concrete truck heralding my return in November, but it would have required far more time to carry out than I was actually around for. Indeed, of the 3 hours I spent at the house in November, half of it was taken up by the concrete delivery. So when am I supposed to have carried out this awful crime? The point is, none of these timings add up. I simply wasn’t there long enough to have been responsible. We know that Mark made 9 separate trips from London to Drayton Parslow between September and November 2009. The prosecution established this at trial. What they didn’t do was consider whether these trips, taken together, would have given Mark enough time to carry out all the different elements of the crime. Mark could not have travelled undetected without leaving any evidential trail. The prosecution ruled this possibility out themselves when they established a detailed chronology at trial. This was presented to the jury in their document bundle. We have been able to supplement their own sources with further data to compile a very detailed record of where Mark was and what he was doing. a) The route out of London was covered by Automatic Number Plate Recognition cameras. This rules out Mark using his car at any other times. There is no evidence of any other vehicle being used, and a strange vehicle in the village would have been noticed. If it was parked a way off then the occupants would have had to lug all the contents back and forth up and down Prospect Close. Turning up under the cover of darkness may have shielded their activities, but we know that Mark was never at the house any later than about 19:00. He would always travel back to London to be with his girlfriend. She testified that they slept together each night and that he never stayed away anywhere else. b) Every taxi company in the local area of Drayton Parslow kept records of the journeys taken. These were trawled by the police and journeys to Prospect Close established. This rules out journeys outside of those dates. c) None of the evidence from any of the other sources gathered either at trial, or subsequently, points to Mark traveling outside of the dates originally established by the prosecution. To the contrary, they provide evidence of him being in London during that time. This includes cell-site data from Mark’s phone geo-locating his position, transactional data from his banks, cash-machine usage, university attendance records, records of appointments and events that Mark attended, and more. The purpose of the evidence gathering exercise was to demonstrate that one doesn’t need to rely upon one source alone. All of the independent sources corroborate each other. Mark simply wasn’t in the vicinity of Drayton Parslow anywhere near long enough to carry out the crime. “Did any contractor ever come forward and admit to laying concrete? Since Sami tended to pay labourers and housekeepers in cash, there are very few records of any of the work that occurred at the home. a) Excavating the pit. This could have been conducted by legitimate labourers without any link to Sami’s death. b) Layers 1 to 3 of mortar. This had to be conducted by professionals, but could not have been done legitimately, since Sami’s body was encased within the second layer, between 1 and 3.
c) Layer 4 of concrete. An amateur job, using different materials and methodology. This was, as we know, Mark’s involvement. It could not have been linked to the first two stages above. My hunch is that this was an opportunistic act, either upon hearing about my father’s plans, or upon seeing such a large and freshly dug hole in his garden. My mother is convinced that this was all a set up, and it certainly feels that way at times, but I’m rather more sceptical about such conspiracy theories. Whoever these people were, they may not have known that I was due to order concrete for the site once it had been dug out and prepared. Indeed, my coming along may well have interrupted their activities. One thing is for sure though, whoever killed my father either had extensive building experience themselves, or knew someone who did. Moreover, it would have been quite impossible for a single person to do it on their own – and in less than 3 hours – as the prosecution somehow claim that I did. For now, this all remains purely speculative, and I can only second-guess their true motivations. It was a cruel twist of fate indeed that I should find myself so inextricably linked to my father’s burial, but I am convinced that my innocence will be revealed with good science. Returning to the issue of contractors, I should mention that we haven’t been able to identify the men my father hired to complete the other two underpinning / root-barrier sites either yet, because – again – we’ve struggled to find any records for the work. These areas were completed some years previously, in the same manner: a specialist base topped off with high-strength ready-mixed concrete. As you can see from the photos, they are of very similar dimensions to the 2009 site, and were installed adjacent to the foundations of the house in exactly the same way, with the same purpose in mind. Close-up of one of the areas of underpinning at 2 Prospect Close. The concrete here has been gravelled over. 18 June: Dad purchased bricks and building materials for delivery to the house. 9 August: Wood Machinist RH replaced the side door frame and side door to the garage and gave dad a quote for fencing. 12 August: Landscape Gardener AH visited the house to mow the lawn. 21 August: Dad purchased more fencing and building materials. 30 August: Another Landscape Gardener, AB, visited the house to give dad a quote for block paving and relaying a patio. 4 September: Tree Surgeon GB visited the house to give dad a quote for reducing a willow tree. 5 September: I drove dad to a local builders’ merchant, where he met Tool Hire Manager KS. We identified more than 40 contractors and labourers who my father had hired over the years. Contacting them has not yielded any new information, however, and we will need the public’s help to work out who may have been involved. “Mark didn’t go back to his dad’s that often, and never stayed overnight there”. This might explain why I never bumped into the perpetrators directly. Indeed, when we look at my movements, the latest I was ever at the family home until was 20:15 in September, 19:00 in October, and 15:15 in November – so there was always plenty of daylight and people around. The night-time would also seem to be a likely time for transportation of the body, particularly if it was taken in and out of the garage – because the main doors faced the street. Again, the very fact that I ordered a truckload of concrete in my own name, for 2 o’clock in the afternoon, in full view of the neighbours, just doesn’t fit with the modus operandi of the people who buried my father. They obviously took great care not to be discovered, while I – by contrast – was waving cars by in the main road while this huge truck stood blocking it. The simple fact of the matter is that I had nothing to hide. This was routine building work as far as I was concerned, and I was none the wiser about the horrors lurking only a few feet away. If I was responsible for my father’s burial, I would surely have finished it the same way it was started: in secret, and in mortar through and through. It doesn’t make any sense to suddenly switch materials and start sounding the trumpets. More building materials at the rear: kerb stones, slabs, bricks, and trellis panels. In the Crown Admissions at trial, the CPS reported that “the police scenes of crime department examined the house and garden looking for any evidence of the location of a localised fire. Results were negative”. Any discolouration above the ground level is either inherent in the brick design, or is the result of fungus or moss forming on the surface. Discolouration below ground level is caused either by moisture or previously adhering surfaces. Our gallery photos will hopefully give you a better sense of the scene as a whole. Part B: Was Sami alive in September? This is a really complex area of our current investigation that the authorities paid little attention to. It was, I suspect, far easier for them to construct a case around me than to pursue a lengthy and expensive probe into my father’s clandestine activities. The police are supposed to pursue all ‘reasonable’ avenues of inquiry, but in practice this doesn’t – and in all fairness can’t – happen. The police must decide which areas to prioritise, but this judgement is coloured by their perception of the case and inherent biases against the suspect. With time restraints, limited resources, and the hunger to build a case for conviction, the police tend to focus upon the suspect already in hand rather than pursuing avenues of inquiry that point away from him or may undermine their own case. My case if far from unique in this respect. The superficial approach is to look at Samuel Alexander qua ‘Samuel Alexander’, which is what the police did. But this isn’t much use when he also went by a number of other names whose activities were strictly separated from his main identity. The situation becomes more complex when you realise that dad used separate ‘burner’ phones, separate accounts, and that no two identities were registered to the same postal address, or even the same GP. He’d been doing this successfully for 20 years, so had developed a very sophisticated system. As far as I can tell, dad took advantage of county borders to pursue his interests through multiple regional administrations simultaneously. One prosecution witness recounted an occasion when dad “was chased into the Close by another vehicle” (JP). After my trial, dad’s father-in-law told our team that “Sami could easily accumulate enemies” (LE). When someone has gone out of their way to cover their tracks as elaborately as my dad, trying to uncover them is fiendishly difficult. Just trying to access data from companies, banks, and mobile phone operators after someone has passed away is hard enough. We’ve contacted places like Tesco for example, to find out information about when and where dad last used loyalty cards under his ‘Samuel Alexander’ alias when, as he often did, he paid in cash rather than by card. Many have refused to disclose anything to us on the basis that the Data Protection Act only applies to ‘living individuals’. We’ve also approached bodies like HMRC and the UK Cards Association for details about investigations conducted into my father’s affairs, and whether they have evidence as to known associates, linked accounts, and so on. We haven’t had any luck there yet either, for the same reason, so we will need to seek a court order to compel them to release this vital data to us. Legally speaking then, we can only get at his other aliases through his core alias, and only if the connection has been made. Simply approaching a company for information about x registered at y address when neither x or y are officially linked to you in any way is an impossibility. We’re essentially trying to do what the police should have done 7 years ago but without their powers, and with ever-diminishing guarantees that records will have survived. When we made enquiries with BT and EE we discovered that cell site data is deleted after 12 months and bills after 2 years – “these records are not copied as archived tapes, nor stored on any other media”. Crucial evidence has thus already been lost and could still be trickling away. We have gathered evidence that conclusively establishes Sami’s use of 6 aliases, and investigations are ongoing into 5 more. His aliases are relevant to identifying alternative suspects. There is a strong possibility that he was killed as a direct result of his activities under an alias. His aliases are also relevant in explaining how he was able to go off-grid, access alternative sources of money, and use alternative means of communication. Alexander, El-Kalyoubi, Kaloubi, Yacoub, Jacob, Wahba, Boshra, Demetrius, Fernandez. ‘Fernandez’ being the exception in which he used the forename ‘Carlos’ instead of one beginning with ‘S’, and ‘Jacob’ where ‘Karl’ has been used on occasion. Dad usually got me to do most of the legwork when it came to withdrawals under his core ‘Alexander’ alias. We had a shared account, and I regularly withdrew cash on his behalf. Between September and the last time I saw him on 15 October 2009, I made eleven such withdrawals, totalling £2680. Dad didn’t directly use these 2 accounts in that period, but as already discussed, I believe he had access to other accounts under his other aliases which he may well have used in that time because he managed these accounts himself without my help. He certainly kept a ready supply of paper money which he would draw on when going off-grid. Our home hard-line and PC weren’t the only ways dad could access the internet, but the simple answer here is that the last time dad signed off on the family home PC was 22:31 on 4 September 2009. The prosecution inevitably seized on this fact to press home their theory that he must have died the next day, but there is a perfectly innocent explanation. This was a shared PC in my office at home, and I’d been steadily packing all my things for London. I ran a web design business at the time, so an internet connection was absolutely essential to my work, particularly because I was about to embark on my final year of law at university. Dad insisted I take the equipment I needed with me so I could get set up as quickly as possible at the new pad, and so I packed the wireless hub and Ethernet cable with everything else. Any ‘changes’ the prosecution may have observed on 5 September were caused not by a murder taking place, but by the inevitable disturbances and confusion stirred up by someone moving home. They have mistaken, or re-interpreted, the symptoms of a natural event for those of an unnatural one. The internet cut off not because dad died, but because I was moving out. Dad wasn’t using his main mobile in the period because he left it in the car before I drove to London on 5 September, but having access to more than one mobile, he would have made use of those others. As one former neighbour noted, “Sami had a number of numbers that he changed frequently” (MP). Indeed, between 2007 and 2009 he changed his landline number at least 3 times. The battery went flat on 7 September and I brought the phone back with me on my next visit home. I remember plugging it in to recharge, but I’ve no idea what happened to it after that and dad made no mention of it. 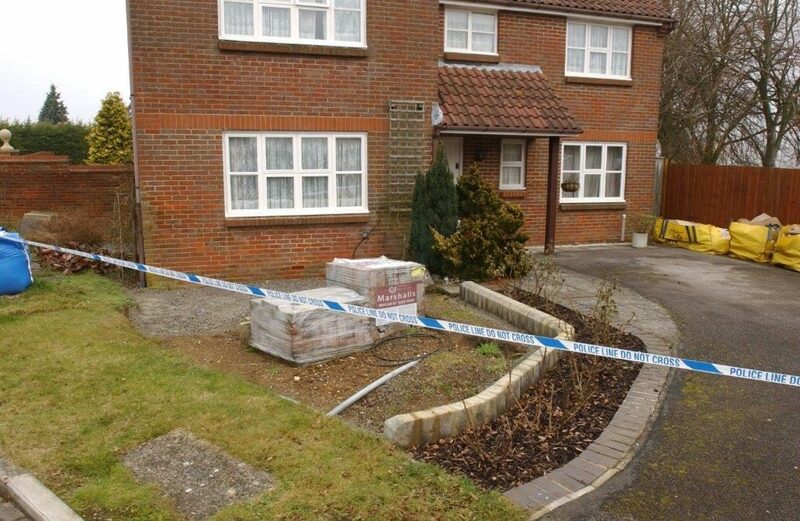 The police found it at the house during their search, but they also discovered a number of empty phone boxes. I think the main point to take away from all this is that we can’t treat dad’s case like a conventional missing person’s enquiry, which is where the police went wrong. We can’t expect to follow the normal evidential trails, nor can we assume that all enquiries are exhausted simply by examining dad’s activities qua ‘Samuel Alexander’. There are many more variables to play with here, so it’s important not to jump to conclusions prematurely. I’m confident that the evidence is out there, we just need to find it. Getting our hands on a court order will be an important first step in the road ahead. “Another way is to look at electricity usage at the family home. The electric meters are all digital now. Who was paying the service charges applicable to the family home if it was empty for six months? Just to be clear, there is no dispute that the house was empty between November 2009 and February 2010. It is the period between September and November 2009 that is contested. We believe that, out of the wider 6-month period, my father was alive for at least 6 weeks longer than the prosecution allowed for. We’d really hoped to find the kind of paper trail many of you have suggested following. In practice, however, this has proved to be extremely difficult to uncover thus far because of my father’s clandestine behaviour – as explained in earlier posts. He was quite meticulous in covering his tracks when he didn’t want people to know what he was doing or where he had been travelling. All his diaries over the years contain mysteriously blank periods where nothing is recorded at all, sandwiched in between periods where he seems to record everything. It was quite apparent that the house was empty when I visited in the New Year, and there was quite a lot of unopened mail – including unpaid utility bills and insurance renewal reminders – which I settled myself. Looking at his Samuel Alexander account, apart from his direct debits (set up for his BT landline, mortgage payments, and investment funds), the last utility payment dad made after September 2009 was for electricity on 8 October – eight days before I last saw him alive. Following suggestions from the public, we checked the electricity and water usage between July and December 2009. The records don’t give a week by week account of his usage, but analysis of the trend over that quarter is certainly consistent with Sami being alive in mid-October, since the rates of consumption did not fall during September at all. This fits with the pathologists’ findings that Sami could indeed have been alive in mid-October, and the three independent sightings of him over that period so far. “Mark’s legal team should have access to Samuel’s computers and mobile phones so it is for them to extract the data contained within them in order to create a history and timeline of usage. Unlike our American counterparts, there is a presumption against automatic disclosure of police exhibits and prosecution files to those seeking to challenge a wrongful conviction here in the UK. We do not yet have the legislative backing to access files relating to our cases as a matter of right. This undermines transparency in a justice system that should be bending over backwards to correct miscarriages of justice and doing everything in its power to assist potential casualties. If the police are confident about the decisions they have made, then they should not be afraid to subject them to scrutiny where they are called into question. The problem was of course, most recently highlighted in the case of Kevin Nunn. The current situation gives the impression at least that the authorities either have something to hide, or are actively seeking to hinder the efforts of miscarriage of justice victims and their families – a suspicion most vividly aroused in the ongoing Hillsborough and Orgreave campaigns. Parliament needs to address this issue as a matter of urgency and devise a fairer and more open procedure – not dissimilar to those enjoyed by prisoners in many other jurisdictions. All the computers and laptops in my own case were seized by the police and remain in their possession. We only had sight of data extracted from targeted keyword searches during my trial. We are currently trying to get hold of copies of the hard drive images to analyse in more depth. “If there had been an altercation with his father which turned violent then Mark should have admitted to it… he could have received a modest sentence for manslaughter”. I’m often asked why I didn’t plead manslaughter. I was offered a charge-bargain quite early on which would have seen me spending about five years in prison. If I was guilty, I’d have jumped at it. But I guess that’s the point, I wasn’t going to admit to something I hadn’t done. Some people do cut their losses, it’s true, and in about 10% of guilty pleas the defendants are thought to be innocent. The bottom line is that I’m being punished for sticking to my principles and maintaining my innocence. In other words, had I made up some story to fit the prosecution’s case, I would have been rewarded with a sentence reduction. The price of my conscientious resistance has been life imprisonment. Accepting manslaughter now would be very easy, but also very selfish. It would mean giving up on our pursuit of the truth. The suffering and pain I might save myself would instead be inflicted upon my family, who have already endured too much. The outcome of this case is bigger than one individual alone, it is a matter of legacy. Clearing my name and finding my father’s real killers means removing the stain of injustice and stigma of conviction from our family as a whole. Would I take the easy way out now, if I could turn back time? Not a chance. Besides, I’d like to think I’d make better use of a time machine than that! “What alternative suspects are there?”. a) A house-keeper or other employee who took advantage of the cover of anonymity they gained from Sami’s benefit scam. Because Sami was returning claims with false employee names, they avoided having to register with the authorities, or being vetted. Receiving payment in cash, they could avoid declaring their earnings. They had easy access to the house and would have known the area well. b) A direct or indirect victim of one of Sami’s confidence tricks, perhaps through his online activity on adult dating sites and chatrooms. c) A loan-shark Sami owed money to, or had defrauded. It’s possible that Sami’s past caught up with him, and that there was a confrontation of some description which went wrong. The extremely unusual manner of burial seems to suggest that some sort of message was being sent or example being made. Samuel knew he had made “many enemies” over the years, as he confided in AH who he once asked to “look after Mark for me” should anything “happen” to him. Samuel even kept a list of some ‘enemies’ in his address book. Mark’s grandfather has also described how Sami “could easily accumulate many enemies”. I still hadn’t heard from dad when I came home in the New Year only to find the house empty, and I wasn’t getting any answer to my calls or texts. I had no real notion of where my father actually was by this point and when the neighbours told me they hadn’t seen him either I came to my own, albeit naïve conclusions. It all stemmed from ideas dad had been toying with as far back as the summer about what he might do once I’d moved out. One of his plans involved staying with Egyptian friends from a church we used to go to. Given that this was the only place he’d specifically mentioned to me before, and knowing that he’d stayed there in the past, the only logical explanation seemed to be that he’d followed through with it. This was the assumption I conveyed to the neighbours I bumped into on 15 and 22 January 2010. I wasn’t able to provide any proof of these conversations with dad at my trial, but we’ve recently stumbled upon evidence for it amongst dad’s paperwork. On 23 March 2009, dad visited the websites of two Coptic churches he hadn’t been to or had any contact with for at least 8 years. He printed out 2 pages for safekeeping, and this is what we found. They contain contact details for the church and maps with directions as to how to get there. One of them is in London. We’ve also gathered evidence as to previous occasions when dad stayed with friends from these Churches, and times when I was left with them as a child while he was away on business. “Sami used to disappear and stop writing to us from time to time, then return again saying he was ‘busy’ or ‘ill’. He never spoke or wrote to us about his personal life or problems and we never interfered. We knew nothing about his marriage or separation, or even where he was working as a teacher. He did not tell us that he was going to undergo surgery, or when he was ill. We tried to telephone him several times  and no-one was home. After that he changed the phone number and we did not know why”. At the time, I felt the neighbours just didn’t know or understand dad the way I did, and I dismissed their concerns – quite stupidly as it turned out. I lacked the mature outlook and experience that they had and only wish I’d taken what they were saying more seriously. Another red-herring dangled before the jury by the prosecution, who portrayed Christmas cards I’d posted to the neighbours as evidence of an elaborate cover-up. Yet, we’re talking about 3 cards here, containing one-liners, sent more than 3 months after my father was allegedly killed, and – as they had been every year – signed off “from Sami and Mark”, not just from dad. If I was really responsible, and was trying to impersonate my father so that his neighbours would think he was still alive, why would I wait 3 months before starting? Why would I settle for just 3 cards? Prospect Close has 15 homes. Wouldn’t I be letter-bombing the whole street and sending strings of fake messages from his phone and email? Yet, none of this happened. The rather weak implication here is that in a 6-month period – between September 2009 (when the prosecution claims my father died) and February 2010 (when I was arrested) – the only thing I could think of doing to ‘keep up this pretence’ was to send 3 cards with my own name in them. I really didn’t give much thought to sending out a few Christmas wishes, we did it every year. Just because I couldn’t be certain where dad was, didn’t mean I should ignore our neighbours over Christmas. As for the signatures, most of us tend to sign our family members’ names alongside our own on a card. “I don’t know what contact he made with his father, but I think he said over Christmas he had called his father… I was not actually personally aware of any contact by Mark with his father over Christmas”. Mark and his father were Coptic Christians. Copts celebrate Christmas in January rather than December. As a strict Orthodox, Mark’s father did not subscribe to Western traditions of celebrating Christmas. So, for example, he would never put up Christmas decorations, buy a Christmas tree, or exchange presents with people. This is why Mark didn’t buy him a present, and in fact had never bought him a Christmas present in his life. Mark doesn’t for a minute deny that he took his eye off the ball here. There a number of problems. First of all, he was used to his dad either not being around, going away on ‘business’ trips without further explanation, and not returning his calls. This was just normal behaviour in their household. Odd to all of us, but normal for them. Secondly, he had been brought up not to question his father’s intentions, not to put his nose into his father’s business. He, like his mum, had grown up in an environment in which huge emphasis was placed upon guarding his father’s privacy and secrecy. So, even if Mark was concerned, or worried, which he was, he wouldn’t have dreamed of involving the authorities, for risk of getting his father in trouble and upsetting him. Thirdly, Mark drew some reassurance from the fact that the social services were monitoring his dad. If there had in fact really been an issue, they would have contacted him, or so he thought. The fact that they hadn’t allayed his concerns. Fourthly, Mark had become completely absorbed in his life at university, where he was not only studying, and enjoying student life, but running a business. Mark had perhaps spread himself too thinly and committed himself to too many things. In the midst of all this, he lost sight of his family life. Mark has never claimed to be perfect, but innocent people are no less fallible than the rest of us. Finally, of course, Sami had had a go at Mark the last time they spoke. Mark was holding out for an apology, stubbornly, proudly, perhaps, but nevertheless he didn’t want to be the first one to reach out. All of this created the conditions in which Mark didn’t react quickly enough to his father’s silence, and failed to read the warning signs that something was wrong. Mark constantly questions whether he could have prevented his father’s death if only he had acted sooner, and this possibility, that he could somehow have saved his father continues to plague Mark to this day. “Mark has claimed that his father went off on his own. I take it he didn’t go off in the family car since there were ways to track the vehicle? If he didn’t go off in the family car how did he travel? Dad was admitted to hospital on 23 May 2008 for a colostomy operation. It took him a good 6 months to recover and I put off plans to move to London that year so that I could be there for him and nurse him back to health. Once I’d got him back on his feet he was in much better spirits and could be seen driving, bricklaying, and fence-post fixing. As the Honourable Judge Reddihough noted in his sentencing remarks, “There is clear evidence before the court that by the time of this offence Sami had made a reasonably good recovery from the illness he had suffered”. By 2009, dad was employing cleaners and housekeepers rather than ‘carers’ per se. Service users “have flexibility over the way that the money is spent and what types of service / support they purchase in order to meet their assessed needs”. This could cover anything from cooking meals to doing the shopping, so could be very broadly interpreted. The Serious Case Review noted one respondent who “declined to take up Samuel’s advert for a personal assistant to help with care-giving, reflecting that ‘he wanted a slave, not a carer’”. I borrowed the family car between 5 September and 12 October, during which time I made 4 trips between my new flat in London and the family home in order to move all the stuff I’d packed over August. Whenever I had the car and dad needed to get around, it would be the ‘carers’ responsibility to chauffer him; and if that wasn’t practical, then he’d just get a taxi. Having returned the car home on 12 October, dad would have been able to drive himself. I met up with dad 3 days later on 15 October 2009, which was the last time we saw each other. I didn’t use the car again until 22 January 2010. Dad was expected to file returns under the Direct Payments scheme with receipts for each ‘carer’ paid. Unfortunately, it appears that he didn’t make these receipts out in their real names, perhaps reflecting the fact that they weren’t being paid for genuine care work. Like you, we certainly expected there to be some sort of registration process at least, but by the time a Serious Case Review was published by the County Council in 2011 – after my trial – it became clear that they didn’t have even so much as a phone number to go by. “There is no obligation for local authorities to have the contact details of Personal Assistants employed by Direct Payments Recipients”. Sami’s “Personal Assistants should have been paying National Insurance contributions, tax and public liability insurance. Information about these matters would have allowed the police to trace them… People’s Voices did not operate a payroll system. Their paperwork only indicates that [Sami’s] Personal Assistants were self-employed”. Dad gave his employees copies of the house keys so that they could come and go freely, recruiting them through local advertising and word of mouth for periods when I was away from home. None of these workers came forward to the police, so they could never be formally eliminated from the investigation. As the CPS noted in their formal admissions at trial, “further identities of others who may have been in contact with Sami have not been established”. We were able to track down one of the housekeepers who worked for Sami in August 2009. She confirmed that there were other carers working there at the time, but she was unable to identify who they were. I really hope we can encourage others to come forward who may have been reluctant to originally, or who may have felt they had nothing to offer at the time. This would make a huge difference to our efforts today.